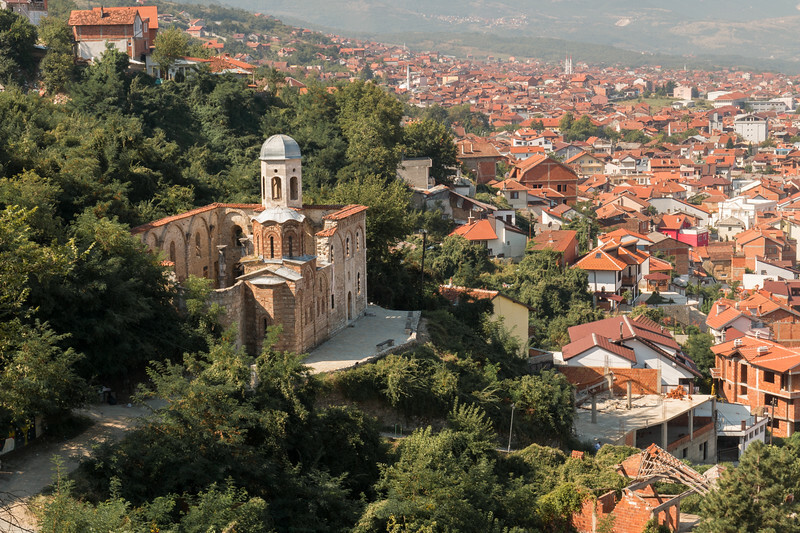 Kosovo is not often seen as a travel destination due to a not so distant troubled past. However, this de facto independent country is a pleasant surprise for those that get a chance to visit. This is not a political article, our only goal is to highlight the best things this small and young nation has to offer – which are well worth a trip! 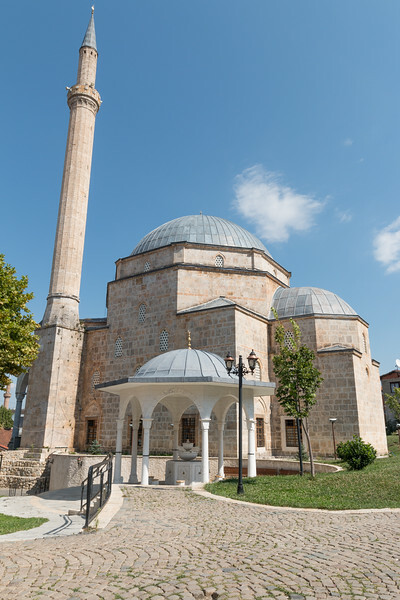 The rich history and the friendliness of the people of Kosovo, in line with its neighboring Balkan countries, are a feature you’ll get used to. Wherever we went, we were welcomed and showed around. 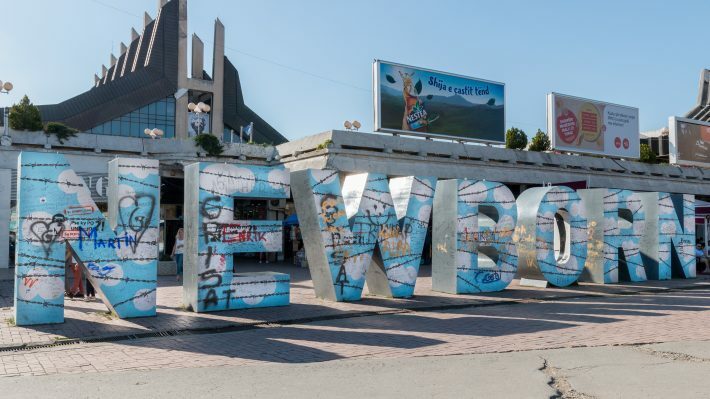 Tourism in Kosovo is starting to pick up, but the numbers are still very small and you have the chance to be one of the first to venture there. 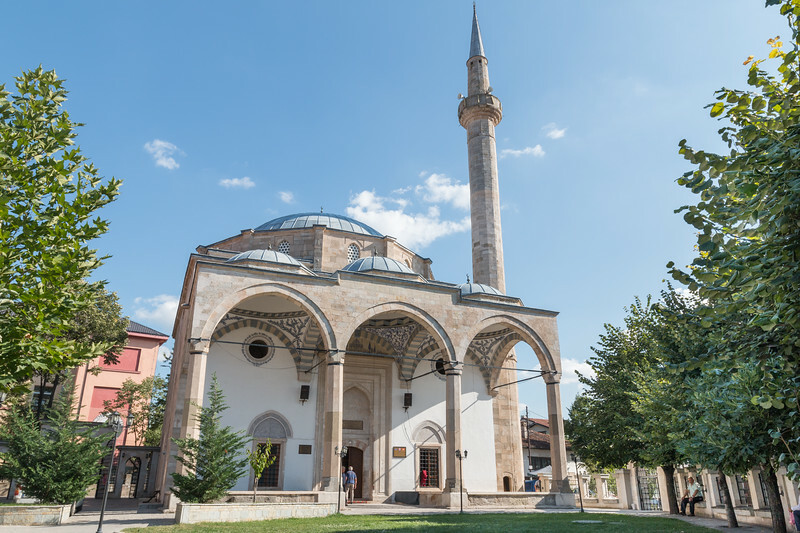 This article includes the highlights for 3 days in Kosovo, including an itinerary similar to the one we used while on a road trip through the Balkans, giving you the chance to explore beyond the capital Pristina. 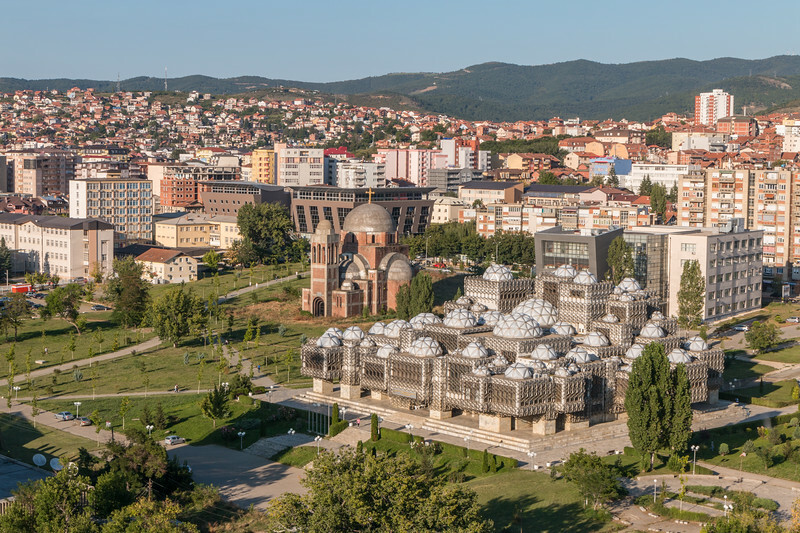 At first sight, Pristina (also Prishtina or Priština), the capital, the largest city of Kosovo, and one of the youngest in Europe, doesn’t seem to appeal much with its somewhat forced modern looks. When we were driving into the city, it looked chaotic and busy, but as soon as we parked the car and set off to explore the city on foot, it turned out to be quite a pleasant experience. 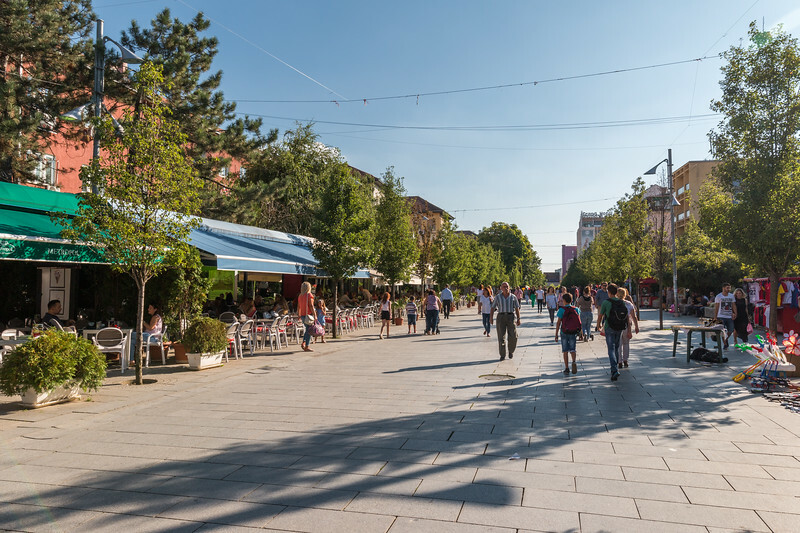 Pristina can be split into two – old and modern, and takes no more than an afternoon to visit, even if you stop at one of the many cafes. 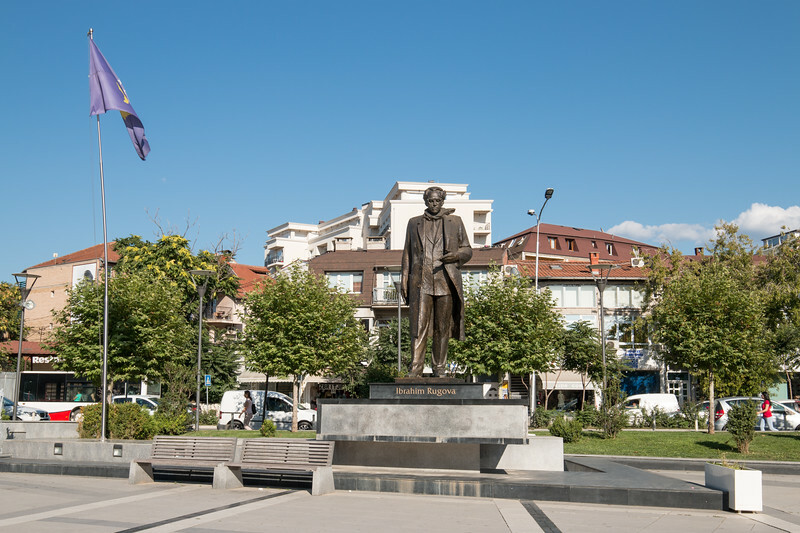 The heart of modern Pristina is the pedestrian Mother Teresa Boulevard. At the northern end, there’s a square with the “skyscraper” that houses the government of Kosovo and a few other important buildings, just across the street from the old town. Don’t forget to stop by one of the many cafes with outdoor seating. Our accommodation recommendation for Pristina is Hotel Prima, a small hotel with nice rooms and extremely friendly staff. All of this within walking distance of the center and main sights. It also includes parking. Not far from the hotel is Restaurant Liburnia which serves delicious local food. 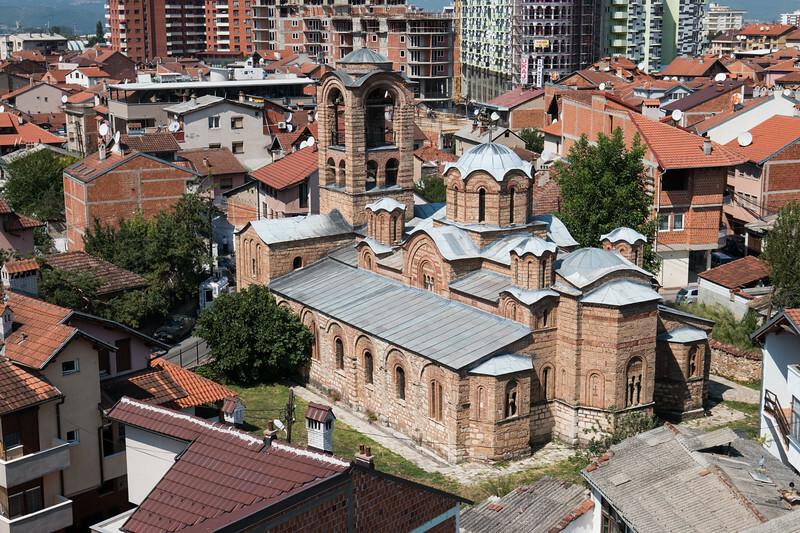 Kosovo is home to four Serbian Orthodox monasteries that together make up a UNESCO World Heritage Site. Gračanica is the closest one to Pristina and a mandatory stop of any trip to Kosovo. Unfortunately, photography is not allowed, but let us tell you that if the outside looks impressive, the interior with its many and incredibly detailed frescoes is an art and architecture masterpiece. 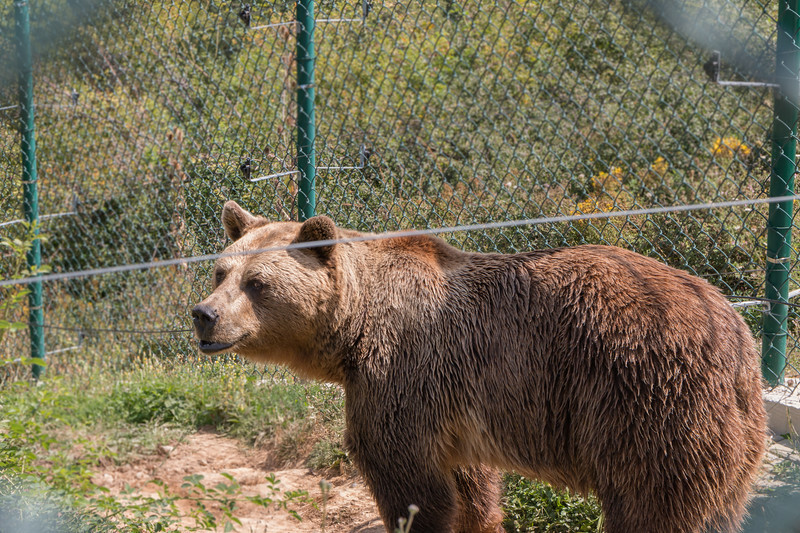 Further afield from Pristina – about 30 mins by car, is Pristina Bear Sanctuary. 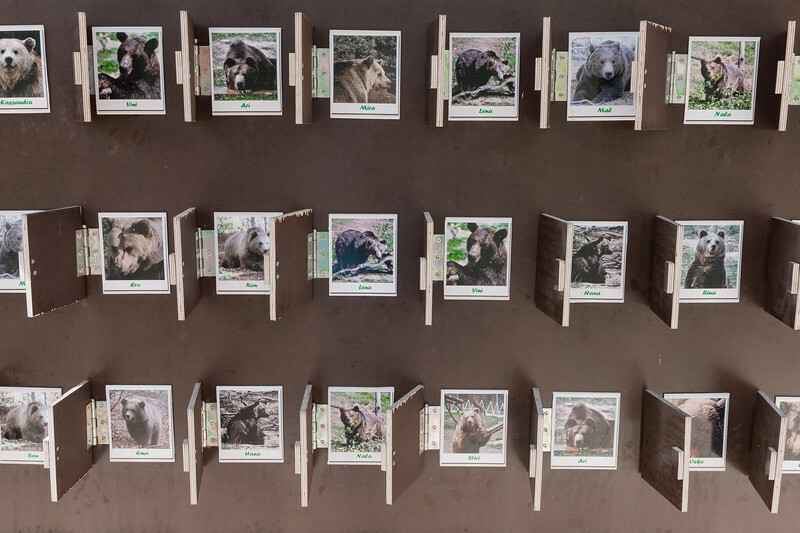 Put together by a charity called Four Paws, the sanctuary houses a good number of brown bears that were formerly privately owned and forced into small cages and terrible living conditions, usually in restaurants – very sad! Nowadays Kosovo bans all types of private ownership of bears in the country while working in partnership with the sanctuary which offers appropriate and spacious accommodation for them. It takes about one hour to visit the sanctuary and you can see how well the bears are and how they have recovered from their previously terrible life. At the time when we visited, there were some expansion works taking place. Prizren is by far Kosovo’s most beautiful city and it breathes history. 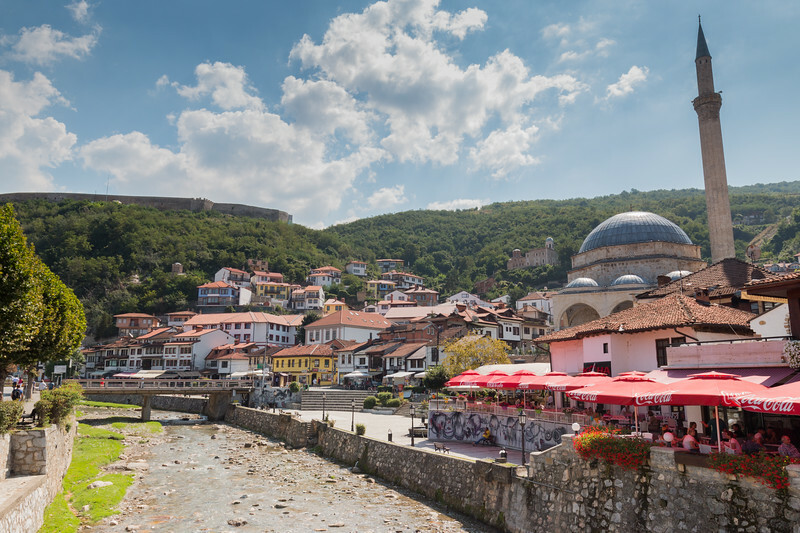 Home to countless churches, mosques, old bridges, and a fortress at the top of a hill overlooking the city, Prizren is everyone’s favorite stop in Kosovo and the country’s cultural capital. The old town is particularly appealing with many Ottoman-era traditional buildings, a river, and many cafes and restaurants. Plus, it’s a very compact city with everything within walking distance. Now for the difficult part, visiting the Church of the Holy Saviour and Our Lady of Ljeviš. We only managed to visit the Church of the Holy Saviour on our second attempt and only for a few minutes since it’s usually closed and you have to be lucky for the guy with the keys to be there. Or, on a scheduled tour. Visiting the interior of Our Lady of Ljeviš is a lot more difficult. The church is closed, surrounded by barbed wire and has a police officer outside – all for protection. After going back and forth trying to figure out how to get inside, which included asking for permission at another Serbian church across town, the tourist office, and a few other people, we got to the conclusion that you need to find the right priest. Unfortunately, he was away for the day. 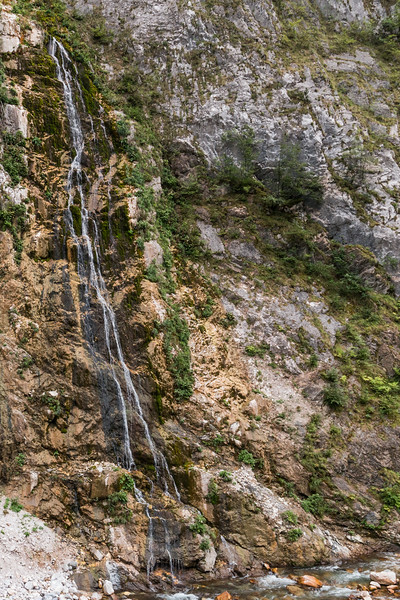 Mirusha waterfalls are a Kosovo hidden gem, but only for foreigners. The locals know it very well, as we quickly learned when we visited. 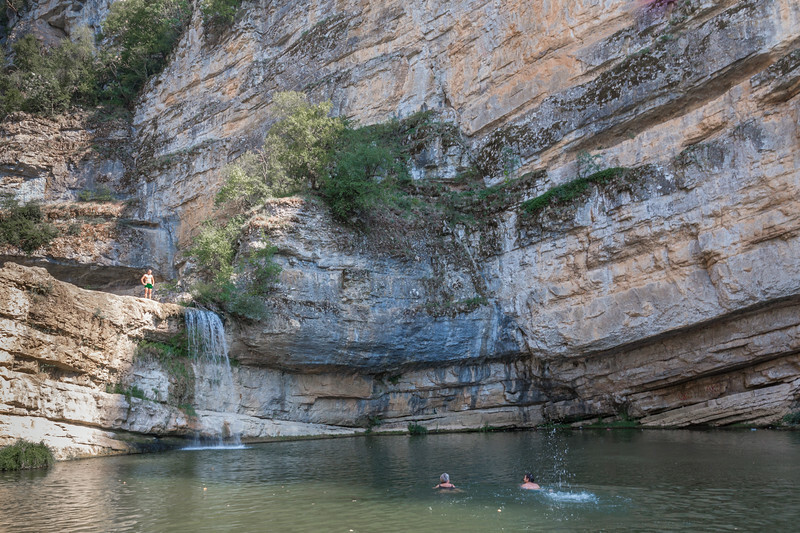 Mirusha is a canyon with a series of waterfalls which are used for bathing and jumping in the summer months. On our way to the waterfalls, we didn’t expect anyone, bearing in mind the remoteness and difficult access. But as soon as we got there, running into a full parking lot and plenty of people was a bit of a surprise. If you’re interested to visit, the nearest city is Gjakova. Visoki Dečani is a 14th-century Serbian Orthodox monastery and a UNESCO World Heritage Site. 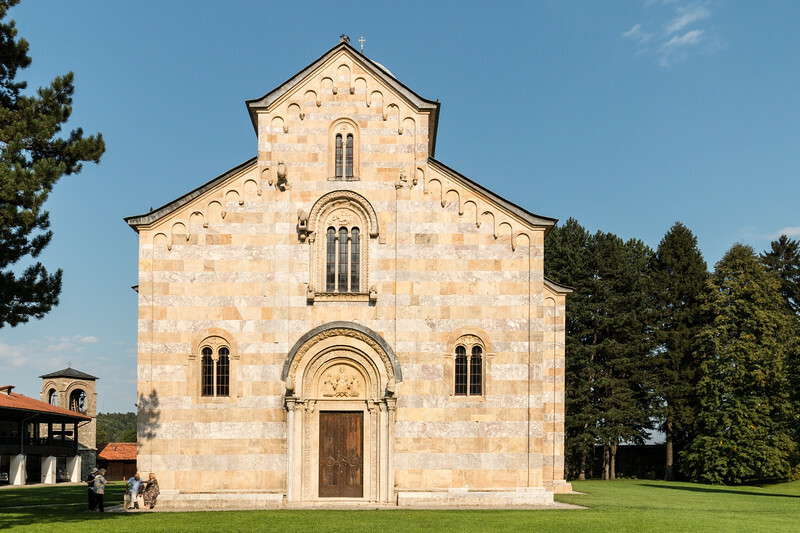 This monastery is located in a beautiful woodland setting and is the most heavily guarded monastery in Kosovo. KFOR, the NATO-led peacekeeping force, has been protecting the monastery for years after it was targeted and attacked. These days, things are a lot more peaceful, but you still need to surrender your passport and get permission to enter. This is a simple process and the local KFOR personnel was very friendly and helpful in getting one of the local monks to show us around, even allowing us to take a couple of pictures from the outside. The inside is a masterpiece and said to be one of the best preserved medieval churches, with incredible frescoes adorned with gold. 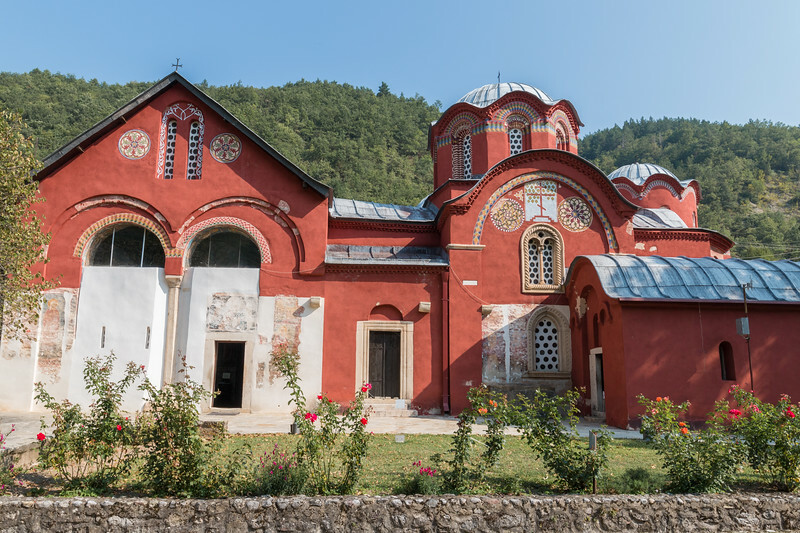 On the outskirts of Peć (also Peja), you can find Patriarchate of Peć, the last of four monasteries that are a UNESCO World Heritage Site. This is a very different one as it’s made up of 4 churches, 3 of which are connected. The outside is very colorful and the interior includes superb frescoes. This monastery is also guarded by police and they will ask for your id or passport before allowing you in. 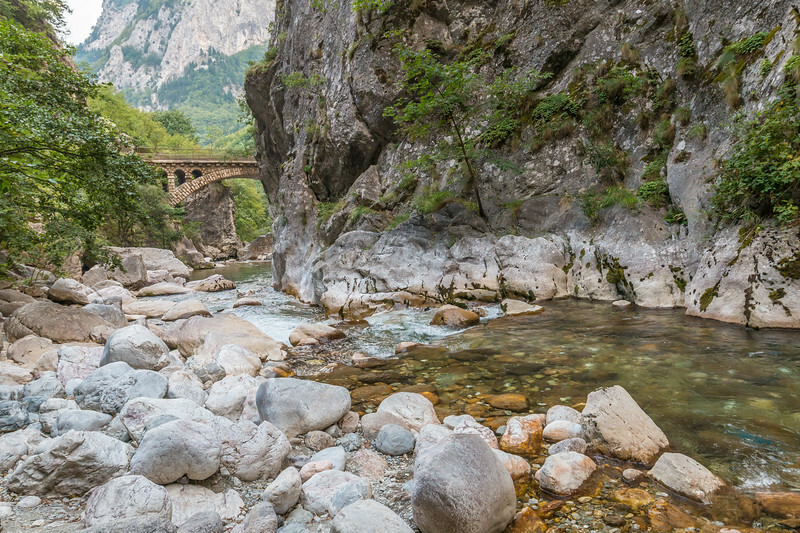 West of Peć, the Rugova mountains are a great example of what Kosovo has to offer nature-wise. 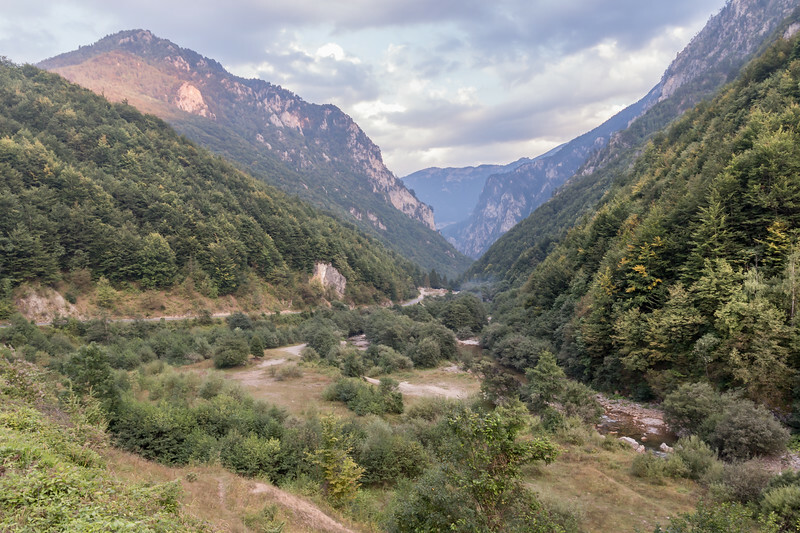 The journey starts with the deep Rugova Canyon which after a few kilometers opens up into a spectacular valley. These mountains are great for hiking as there are plenty of trails and places to explore. Other activities include climbing (via ferrata! ), zip lining, and caves. 3 days in Kosovo are, in our opinion, adequate to get to know the country and its highlights. Most visitors don’t get to experience anything outside Pristina and only stay for a day which is a real shame because the country has other things totally worth seeing. Here’s a suggested itinerary based on the highlights above. 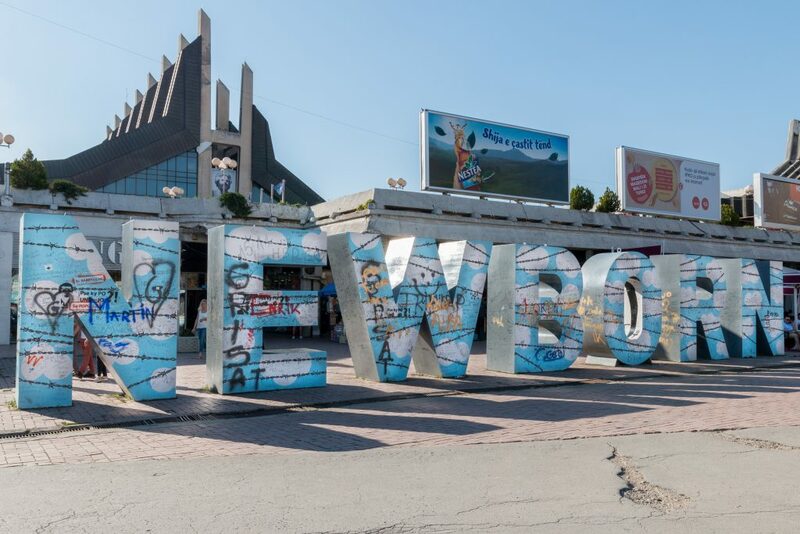 Arrive in Pristina and visit the city and its highlights without forgetting to grab a bite of the local cuisine. Depending on how much free time you have, head out of town to Gračanica and the Bear Sanctuary. 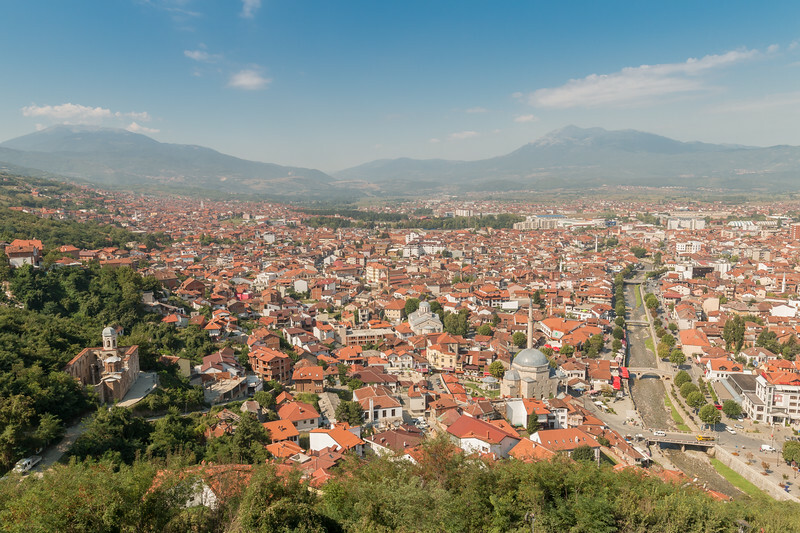 Head to Prizren early in the morning and visit the city. Don’t forget to visit the fortress for amazing views and the old town. 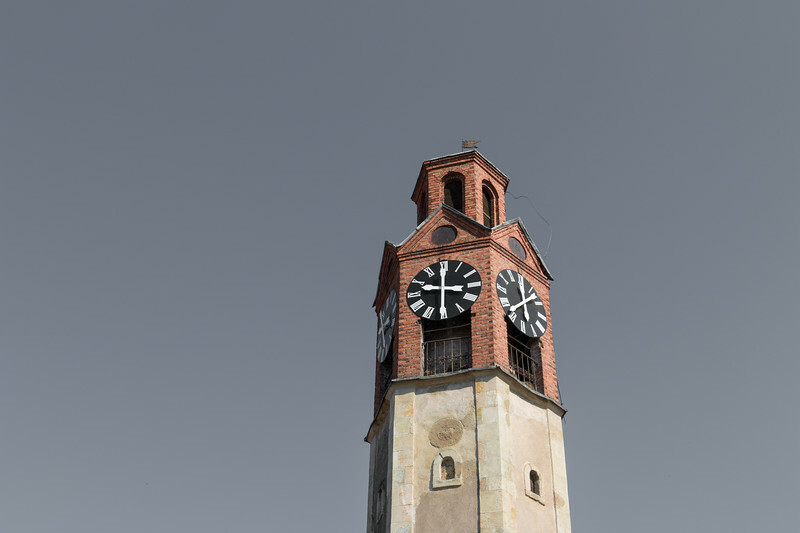 After lunch, travel in the direction of Peć with a mandatory stop at Visoki Dečani. Quick evening stroll around Peć. Visit the Patriarchate of Peć in the morning before heading into the Rugova mountains. Spend a few hours there and then return to Pristina or final destination, for example, onwards to Montenegro. Remember Kosovo is already way off the beaten path! Accommodation options are increasing as the country develops. Booking.com is your best choice to search for accommodation throughout the country. Kosovo has only one international airport, in Pristina, which is now served by a growing number of airlines. Because of the small size of the country, it’s quite easy to travel from neighboring countries, mainly by road. We traveled around in a rental car, by far the easiest way to get around and explore outside Pristina. Buses and trains are available but the former option is preferred and allows reaching a lot more places. Travel distances are not time-consuming. Traveling by car requires proper insurance and you’ll need to show your documents to check if you’re covered. If not, you can buy it at the border. It’s pretty straightforward to cross into Kosovo from Macedonia, Albania, and Montenegro. Also, citizens from many countries can travel to Kosovo visa-free. IMPORTANT: Border crossings between Kosovo and Serbia are tricky and can lead to a lot of complications. For example, if you want to travel from Kosovo to Serbia, you must travel via a 3rd country – it’s easy to do so via Montenegro. From Serbia to Kosovo, things seem to be simpler. We found Kosovo to be very safe everywhere we went. Because of recent events, it’s advised to check before you go and probably best to avoid northern Kosovo close to the border with Serbia. Have you ever thought about visiting Kosovo? What’s your favorite thing about the country? Let us know in the comments below. I really want to visit Kosovo. I have started travelling more extensively in this region having visited Macedonia, Montenegro, Croatia, Albania and Bosnia in the last year and find it quite fascinating. The Balkans have a lot to offer. We’ve also been to those countries and highly recommend them to everyone. Kosovo is no exception! Wow! Kosovo really has never been on my radar. But this looks really rather awesome! Waterfalls, outdoor dining at those cute cafes, the fortress… I think I need to visit one day! Great tips. Not many people visit Kosovo and if you do, you get a chance to experience all those things with pretty much no tourists around. Kosovo seems like such an interesting country. I had no idea there were so many mosques. 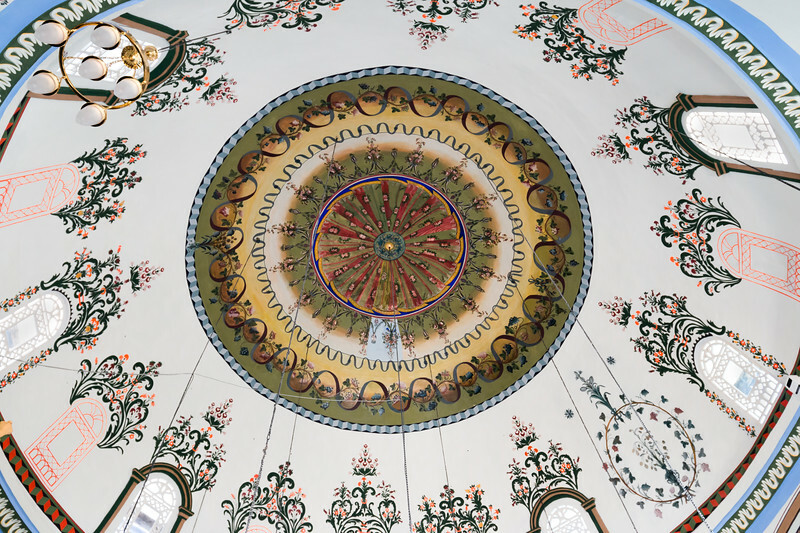 The ceiling of the Jashar Pasha Mosque is so beautiful. Quite a few dating back from the Ottoman Empire. The ceilings are truly magnificent. Wow, there’s so much to do in Kosovo! I would love to wander through those old, ornate buildings and visit a bear sanctuary! How amazing! Yes, they’re doing a good job there. The bears looked healthy and had enough room to enjoy their new life! Hey guys…almost went to Kosovo a few years ago, but we had to leave our rental cars at the Bulgaria/Macedonia border so didn’t happen. Been itching to go ever since! I’m curious, what’s that amazing looking building with all the white domes in lower right of the Pristina photo? That’s the National Library! Probably the most famous building in Kosovo. Glad to see that you didn’t go into politics. 😉 Yes, Kosovo has lovely landscapes, mosques, Serbian temples are so special there. So glad you liked the region. I would love to visit Kosovo – I love traveling to undiscovered parts of the globe because they’re always the most authentic – I can definitely see a lot of Eastern European charm through your photos. It doesn’t look like the country has been overly influenced by the west (yet). I love wildlife so it would be great to visit the Pristina Bear Sanctuary, and then enjoy some nature at Mirusha waterfalls. Thank you for your thoughtful comment, Meg. Kosovo may have a complicated past but the future is bright and tourism can certainly help! Oh, wow! I didn’t really know about kosovo so I skipped it during my trip. I should have researched prior. I love everything about this, great architecture and good nature stuff to do and see. This will definitely be part of my next europe adventure. Fantastic! This looks like the perfect mix of urban and nature. I love exploring cities, but sometimes its a relief to escape to the countryside. The canyon looks beautiful! Kosovo (outside Pristina) was a really good surprise. Lots of interesting places to visit.. and zero tourists! It is one of the most beautiful destinations across the world! Saw your website dear. Have to say that it looks completely amazing. Keep it up. And if you have to choose between Turkey & New york? What would you suggest in terms of tourism. Good article. Thanks for sharing..